I'm a post-doctoral researcher in Computer Science at the University of Verona, Italy. I am working in the VIPS lab, advised by Manuele Bicego. 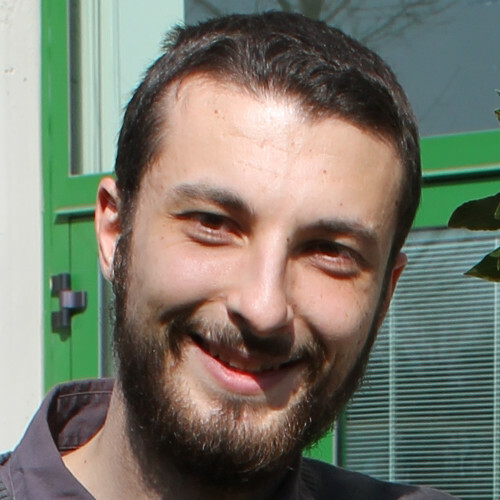 My research is mainly focused on pattern recognition and machine learning techniques, in particular probabilistic graphical models, and it is aimed at developing solutions to problems in bioinformatics. I received my Ph.D. in Computer Science from the University of Verona in 2015, with a thesis titled "Bag of words approaches for Bioinformatics" (advisor: Manuele Bicego, PhD tutors: Marco Cristani and Alessandro Farinelli). From June to September 2013 I was a research intern at Microsoft Research, Redmond (WA), working in the eScience group with Nebojsa Jojic. From 2013 I am also member of the TC-20 technical committee (pattern recognition for bioinformatics) of the International Association of Pattern Recognition (IAPR). You can download my full CV here (updated May 2015).